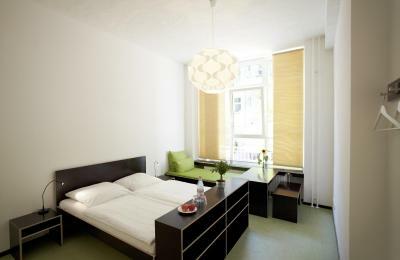 Lock in a great price for Hüttenpalast – rated 8.7 by recent guests! The space was beautiful, clean and comfortsble. We ended up being there nearly by ourselves, which felt a bit surreal, surrounded by so many charming nooks to sit and be social. The garden must be wonderful in the summer! 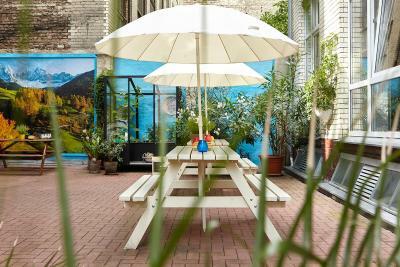 This place is beautiful - a true idyl in the heart of Neukoln. If you are looking for a fun and unique place to relax this is it! The staff were so sweet. I was only there for a nice and they were so sweet. I hated I couldn’t stay longer! The staff were super nice and helpful at all times & location was perfect. Also the room was huge and super clean. Staff were so lovely! 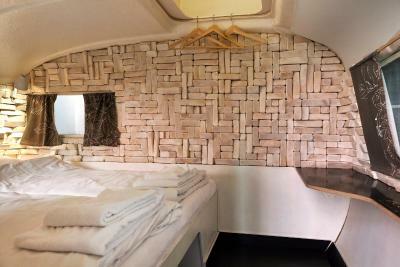 The beds were so comfy and the bathroom was beautiful. 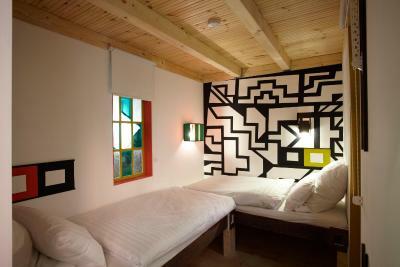 Great location, great price, extremely comfortable beds, super Instagram-friendly experience. It was better than I thought. 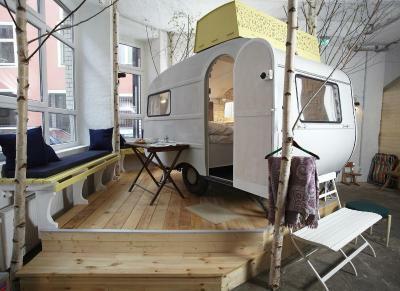 Such a creative space. The bed was comfy and the pastry in the morning with tea and coffee was lovely also. 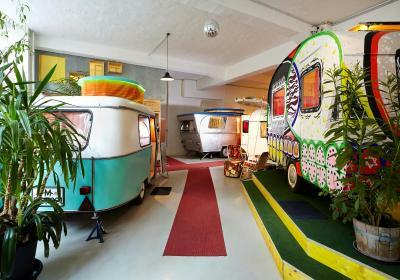 Hüttenpalast Berlin offers a unique range of accommodations. 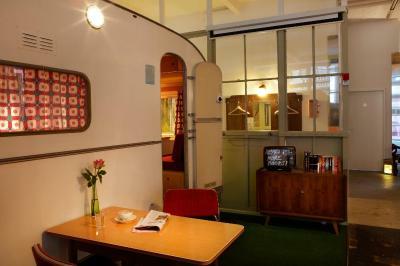 Retro-style caravans and cabins are located within an indoor camping site, inside two old factory halls. Each hall is big enough to provide six caravans or cabins. Bathrooms are shared in these areas. 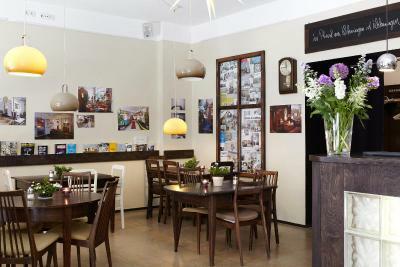 Many interesting bars, cafés and restaurants can be found within a 5-minute walk of the accommodations. 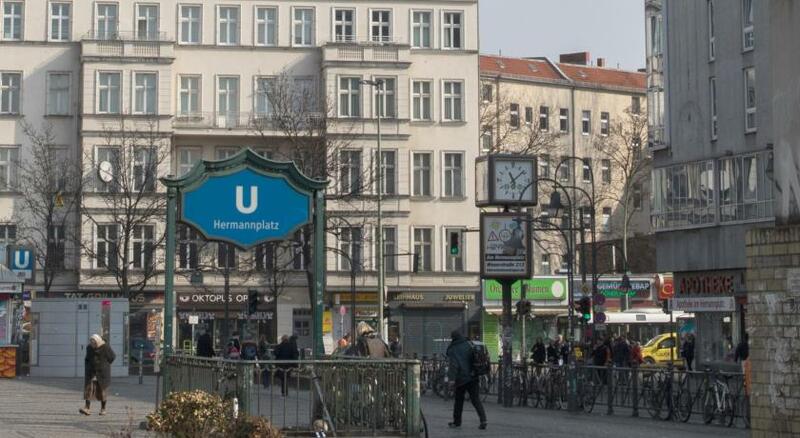 Hermannplatz Underground Station offers direct connections on the U8 line to Alexanderplatz in the heart of Berlin. 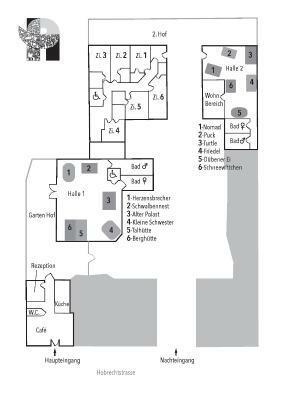 The hotel is 1.4 mi from the Mercedes-Benz Arena, 2.1 mi from Checkpoint Charlie and 2.2 mi from Gendarmenmarkt. Berlin Tegel Airport is 7.5 mi away. 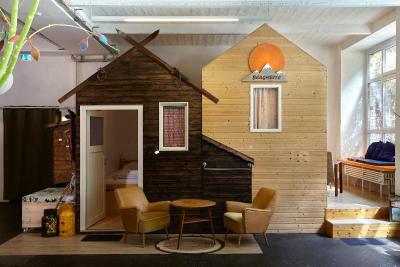 When would you like to stay at Hüttenpalast? 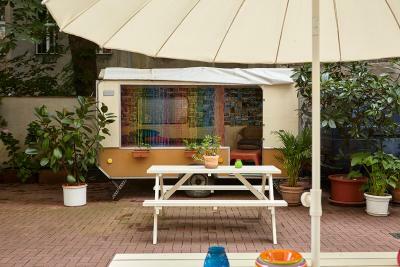 Unique accommodations in a retro-style caravan or in a hut. 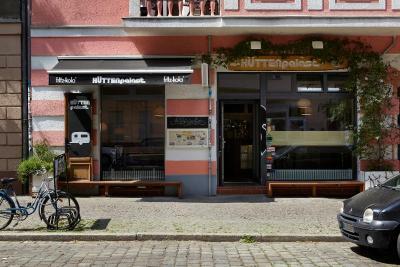 House Rules Hüttenpalast takes special requests – add in the next step! Hüttenpalast accepts these cards and reserves the right to temporarily hold an amount prior to arrival. there isn't a door on the shower place which was a little weird and made it more work to clean up after. 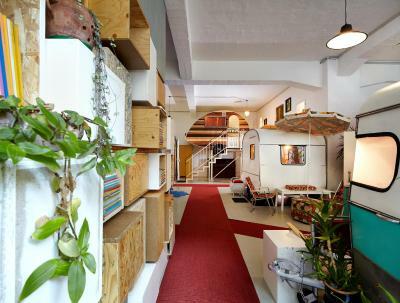 Great location, close to the german underground which makes getting around Berlin very easy. There are many nice bars and places to eat close by. 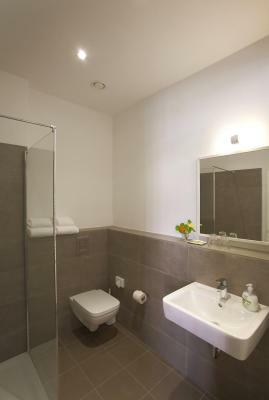 The hotel itself is clean, relaxing and enjoyable. You can hear people pottering around - no sound proofing! It was quite easy to hear other guests and being aware of our own noise was important in our camper. Part of the experience but something I didn’t realize when booking! 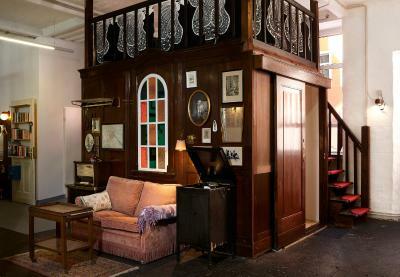 A small comes-with-the-territory issue and a minor complaint for an otherwise wonderful property. Bed was comfortable and the entire stay was really unique. 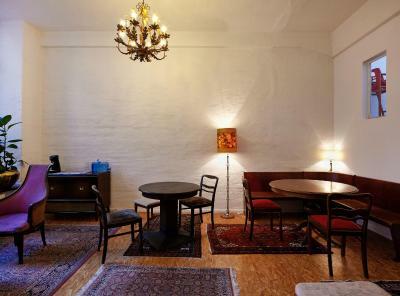 The place is delightfully decorated, clean, and has lots of wonderful personality. Definitely not a touristy neighborhood. 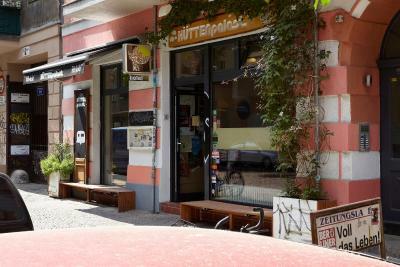 Love the Neukölln vibe! 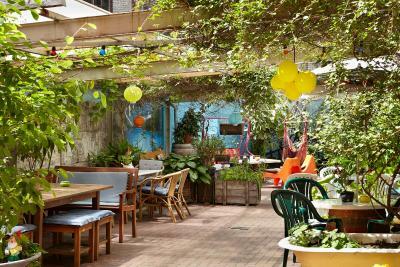 Great restaurants, cafés and bars nearby. Camper was comfortable - had a great sleep. The free croissants and tea in the morning were a great touch. The location is top notch. Amazing place and amazing people! We’re definitely coming back! 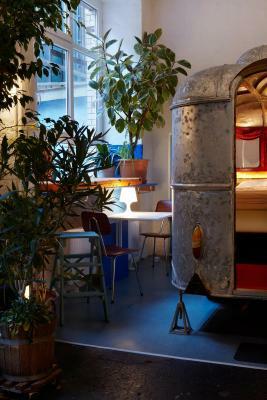 Very comfortable, quality beds. Clean and modern room. Maybe a little bit noisy from the hallway outside the room. It felt like people talking outside our door was actually inside our room. 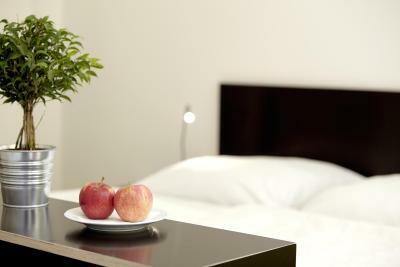 The room was spacious and the staff were very friendly. Good location. I should've expected it but I wish the bed in my caravan was slightly longer - I'm 185 and even sleeping across the double bed wasn't enough so glad I wasn't sharing the bed with anyone. I would probably recommend the huts for more comfort as they seemed to have a little bit more space. 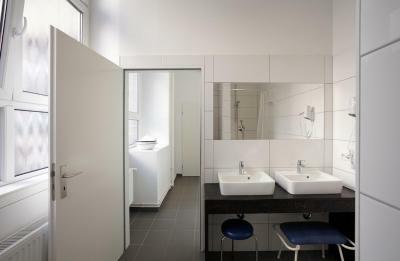 It would be great to have a couple more amenities in the shower room like cotton ear buds, real shampoo etc and make the inside space a shoeless environment. Super cute and fun novelty experience. 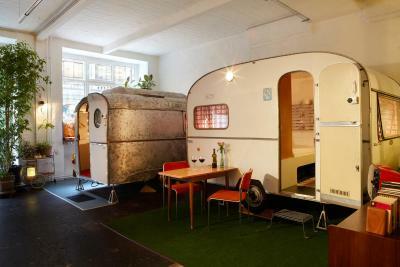 The room with the caravans is cosy and the idea is well executed. Also love the location, an easy cycle ride or walk away from everything you need and the street is full of bars, cafés and restaurants.